Whether you arrive Marmaris with your family, friends, with a companion or single, Marmaris has accommodation for everybody to suit their lifestyle and their varying needs as well. You can choose your place to stay from a quieter location where your kids can play happily on the beach, find a busy hotel with fun filled activities or if you are young at heart choose a place near the Marmaris Bar Street that puts more emphasis on partying and adventure! Here are some options you can try at Marmaris. Renting a villa will let you maintain your privacy with your friends and family. A luxurious villa with amenities like private pool can keep you fresh although your stay in Marmaris. Choosing a hotel very near to the beach is sensible if you love playing in the beach and love to undertake such other activities like swimming, diving and cruising along. Many of the hotels in Marmaris are on the beachfront or just at a short distance to the beach. You can choose the best hotel that suits your needs. Some of the visitors love to shop, visit places around Marmaris and party although their stay. They can choose a Hotel or an Apart Room that is in the city center. You will find a lot more options with shopping, restaurants, bars and an easy access to road trips in and around Marmaris. Many hotels have separate facilities for your kids. If you love to keep your kids happy and more engaged in their fun and frolic, you can choose to stay in such hotels. 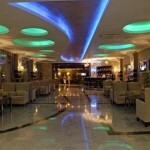 One thing you must be aware while choosing all inclusive stays in Marmaris is that not all of them are worthy enough! An all inclusive offer puts a lot of costs on the hotels and they often have a very slight margin of profit. They tend to make up for the loss by providing cheap food, hiring inexperienced staff at low wages, offering you cheap drinks, etc. The services in such places could be terrible! If you are ready to shell out some extra money, you can enjoy an all inclusive stay in a luxurious 5 Star Hotels in Marmaris.